The Emergency Preparedness Program is dedicated to a continuous process to prevent, prepare for, respond to, recover from, and mitigate against any incident that threatens life, property, operations, or the enivronment. The program conducts planning, exercises, and training to ensure the university is ready to respond to any type of emergency. We engage in a collaborative process with departments from across the university, as well as external partners, to coordinate Wright State's response to any emergency. The Wright State Emergency Operations Plan describes an all-hazards approach to how the university will respond to and manage campus emergencies with the intent of preserving life, protecting property, and continuing educational programs. 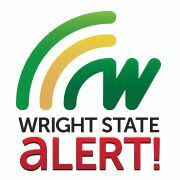 To keep you informed in emergency situations, Wright State has developed a comprehensive emergency notification system. This quick action reference provides a brief overview for the preparation and response to most emergency situations that may affect the Dayton campus. This quick action reference provides a brief overview for the preparation and response to most emergency situations that may affect the Lake campus.